I attended a conference, March 4-7, 2015, in Winnipeg, Manitoba, entitled “Bridging the Gap” through Canadian Roots Exchange. The purpose was to bridge the gap between indigenous youth and non-indigenous youth by discussing the issues and problems facing them in their various communities. On the first day there was a youth panel to answer some questions. The conference had numerous keynote speakers who I thought were very informative and had inspiring points of views. An aboriginal elder was present to provide words of wisdom. There were also workshops featuring various subjects such as poetry, how we got here, media biases, story telling, and the Nechi life game, among others. But the one workshop that impressed me and stood out from the others was the history lesson of indigenous peoples demonstrated by using blankets. It was both experiential and transformational. It is called the Blanket Exercise. 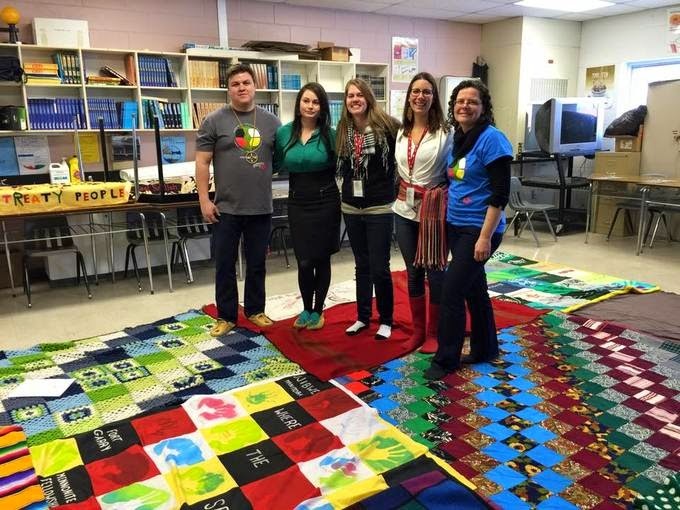 The blankets represented lands and the impact of European contact on indigenous peoples. It demonstrated through interactive storytelling, as blankets begin to disappear, how the indigenous peoples lost their land, how they were killed off or if they survived had to live on small and substandard areas of land. And, eventually how many children were removed from their land to attend residential schools where they were treated horrifically, which resulted in the loss of language and culture. It would be a good idea to have participants bring in their own blankets so that they feel like they have an even closer tie to their land. Another key element of the exercise is after each time someone died there was a brief moment of silence to commemorate his or her legacy. Afterwards many of the youth admitted that they were never taught this version of history in their schools as the teachers were only educated in the non-indigenous version of First Nations' history. An interesting point was the reaction by some youth who felt it was their fault that this had happened. The youth participants were emotionally touched and some could not hold back their tears. I felt the blanket exercise is very powerful, informative and effective. Which is why I believe this should be part of the school curriculum. Once students are taught history from an indigenous perspective they can better understand the notion of displacement and being disenfranchised. After the students are taught they will return to their own communities and educate others who know only one version of indigenous history. The conference this year had garnered tons of media attention, especially because of a McLean's article that was published stating Winnipeg was the most racist city. Furthermore, the location of the conference, which was held at Children of the Earth High School was easily accessible to the public and to the media outlets. Hopefully future conferences can acquire similar attention. 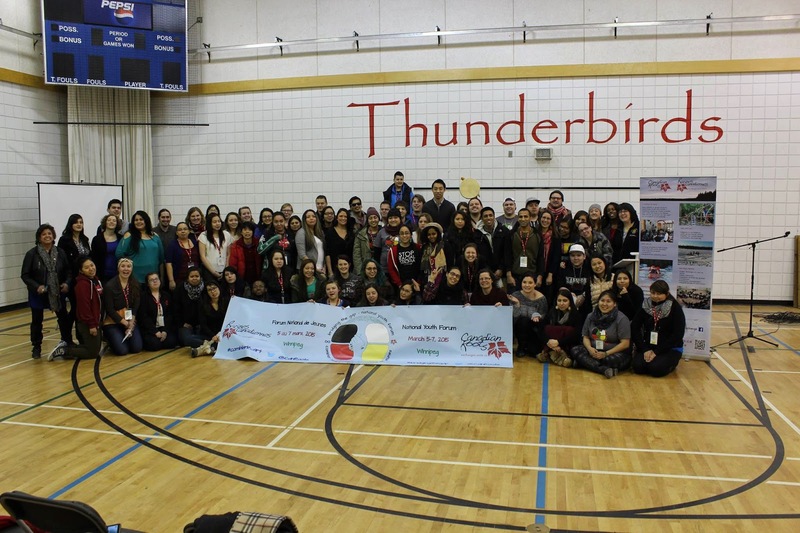 This was the third annual youth conference by Canadian Roots Exchange and each year more and more youth attend. I believe that it will continue to grow in future conferences. It is important to continue the conversation surrounding bridging the gap between indigenous and non-indigenous youth nationwide. In fact, it would be perfect if the youths who come from across Canada were equally balanced in numbers between indigenous and non-indigenous youth, it would create a perfect teaching forum and an exchange of information sharing and learning. The conference ended with an awesome talent show. I met some amazing people who are dedicated and committed to finding solutions to bridging the gap. If you are a youth between 15-29, want to have some fun, learn and exchange ideas, I recommend you contact 1(647) 956-5019 CanadianRoots Exchange to get involved. 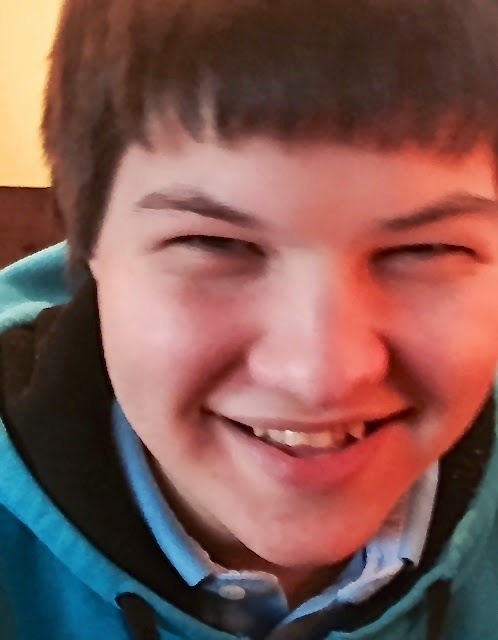 Today my 17-year-old son left to Winnipeg, Manitoba to participate in a national youth conference. He'll be gone for four days. I am so nervous, perhaps I shouldn’t be because after all he has been away before. The first time was when he was in grade 7 and then the following year for 10 days on a school odyssey trip. Not to mention for the past two summers he has been away for part of the summer taking summer courses at a university. I thought it would get easier each time he leaves, but I am still filled with some trepidation. I suppose that is what we moms feel whenever we send our kids off somewhere without us. It’s hard for me to let him go but giving him space is the best way for a young man to exercise his wings. More importantly I acknowledge this is will be a good experience for him to be making decisions and taking responsibility for himself. Indeed, this youth forum is likely just the thing he needs to strengthen his wings. There will be between 250-300 students from across Canada and no doubt some of them with less experience than him and others in their first and second year of University. I am hoping that he will see the diversity between the youth, learn some valuable knowledge and skills, and make some friends; all this will prepare him to some degree for being away at university next year. UPDATE: This is a link to a blog update on the the 4 day youth conference!